There are certain WordPress plugins you hear about all the time. You see them repeated across multiple blogs as the “best” WordPress plugins like a broken record. Who ever looks back and tries to find underrated WordPress plugins though? These are plugins that don’t get much publicity, but are very useful in one way or another. Search Regex – I know this plugin has come in handy for me several times. What this plugin will do is search and replace data stored in your site. For example, if you wanted to change the directory path to images (from /wp-content/uploads/ to just /uploads/) throughout all your posts, all you would have to do is type it in once. Be careful with this powerful plugin though. Make sure to back your database before using it. WP DB Backup – This brings us to our next underrated plugin – a database backup plugin. This can automate the process of backing up your database by sending you an e-mail attachment at a defined interval. It was briefly gone over in a previous article of mine: The Importance of Backing Up Your WordPress Site. No Self Pings – This is more of a personal preference than anything. I personally don’t like how WordPress “self pings” when you link to another page of your blog. If you’re like me, you can install this plugin and not have to worry about moderating your own pingbacks. And those are my three. 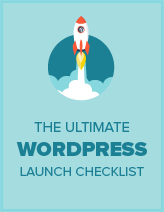 Thanks to the WordPress Expert and Kyle of Hack WordPress for this post idea. i am also not sure why people do not like self pings? Is there any specific reason? wordpress has this feature inside that it always tried to send notifications to websites that has related links in a post . meaning if i posts new post and put in that post a link to your blog , then wordpress will automatically try to send trackback to your blog telling you that some blogger have talked about this link on his/her blog . You know, you have just solved one of the problems I have been having by mentioning the no self pings plugin. Every time you link to an internal page, wordpress always creates a self ping and at times it irritates that you have to moderate those pings. Thanks I did know there was a plugin to rectify this issue. Hi Katy, glad you found some new plugins. You’re right, it may help with navigation to allow self pings to browse through pingbacks. Some people like it, others don’t. Great plugins, only recently did I discover the database backup plugin and the other two are new to me. But, I wanted to comment on the self ping note. I personally enjoy this feature. A lot of my commentators dig through the archives and by allowing my blog to ping previous posts, I’ve given them a way to check out more posts that are relevant to the one that they’re reading (by browsing the trackbacks).